IRESCUE TRAINING is committed to safeguarding the health and safety of learners in any course. Some courses, such as CPR, require physical exertion. Individuals with existing medical conditions such as pregnancy, bone, muscle, and joint conditions, and respiratory conditions, should consult a doctor prior to attendance. We do not assume any risk or liability for injuries or illness that may result from course participation. If you do not participate 100%, you cannot successfully complete the course and receive certification. However, you are still welcome to attend and observe. There is no refund or credit for cancellation if you do not show up to your course or if you do not complete your course. A request to reschedule to a different course date must be received by IRESCUE TRAINING at least two (2) business days before the original course date by email. Each request to reschedule is subject to approval and an administrative charge of $25 per participant. Upon approval of a rescheduling request the participant may select a new course date that is within sixty (60) days of the original course date. Absence due to illness will be treated as a request to reschedule to a different date, and subject to the administrative fee listed above in the Payment Policy. If you are not able to attend a course due to illness, you must submit a request to reschedule to a different date no later than four (4) business days after your original course date. As an additional precaution against transmission of colds and influenza, we will not allow you to attend a class if you exhibit signs of such illness. You will be asked to reschedule to a different date. IRESCUE TRAINING reserves the right to cancel or re-schedule a course in the case of an emergency, or instructor illness. In such an event, participants may choose either a full refund, or attend on another date. We will attempt to notify participants of any cancellations at least 48 hours prior to a course. During winter months we will attempt to notify participants of any cancellations due to storm conditions, at least 24 hours prior to a course. However, in extreme weather conditions, less than 24 hours notice may be provided. Course cancellation notice will be communicated by email and / or a posting on our website. Certification is provided at the successful completion of a course. Participants are required to attend the entire class. 100% participation is mandatory. Participants are evaluated based on their ability to perform the skills during the course, in addition to a written multiple choice test. Refunds are not provided for unsuccessful attempts. A simple re-test (of a second version of the test) is likely on the day. We can read questions, sometimes arrange for re-wording of test questions or work with those who have some learning challenges like dyslexia or reading / writing comprehension difficulties. We ask for upfront disclosure so that we can accommodate for this - where possible. Failing this, participants have the option of attending a make-up course free of charge. This policy reflects our commitment to your learning. IRESCUE TRAINING may use photos or video of course participants taken in class in promotional material, not limited to our website, email communications, and other published media. We will not use any descriptions or markings that will personally identify you. If photos or videos are taken, the instructor will notify the class and you will have the opportunity to opt-out of participation. Otherwise, your participation grants IRESCUE TRAINING the right to use any and all photographs or video taken during training for the purpose of marketing or promotion. IRESCUE TRAINING collects your name and contact info for the purpose of registration, scheduling, and communications related to your course. From time to time, we may use this information to notify you of pending certification renewal requirements. 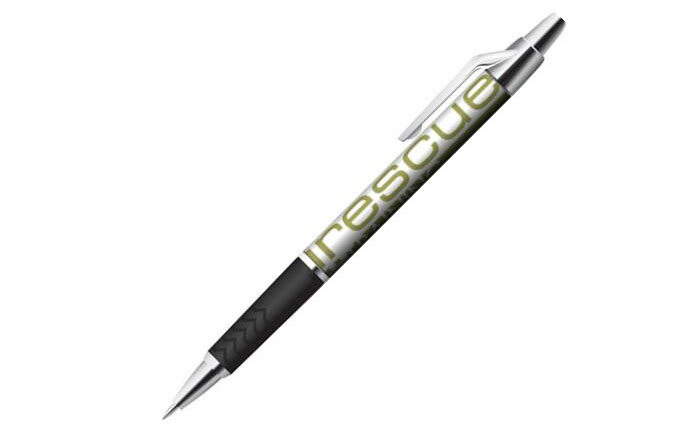 IRESCUE TRAINING will not sell or transfer your contact information to any other party. All information available on the IRESCUE TRAINING website (www.irescuetraining.com) is subject to the following terms and conditions. By accessing this site, you agree to adhere to this legal notice. IRESCUE TRAINING reserves the right to change terms and conditions at its sole discretion and without notice. To prevent unauthorized access, maintain data accuracy, and ensure the correct use of information, IRESCUE TRAINING has implemented appropriate physical, electronic, and managerial procedures to safeguard and secure the information collected online. For example, wherever sensitive or financial information is requested, we use 128-bit encryption. Our servers are maintained in a secure location with access restricted to authorized personnel only. For security reasons, our online booking system does not store credit card numbers itself, not even in encrypted format. Credit card numbers are stored by the payment gateway. Once stored on the gateway, it is not possible to retrieve the full card number. Both the online booking system and the payment gateway are certified PCI DSS compliant. Protecting the privacy of our youth is important. Any youth requesting information about the Wilderness or other youth programs 13 years of age and under requires the consent of the youth's parent. Parental consent is received with the submission of a parent's email address. IRESCUE TRAINING will be in direct contact with the parent to re-confirm consent. Should parental consent be re-confirmed, the information collected will be retained in order to provide / manage the program. Should parental consent not be re-confirmed, information shall be removed and destroyed. The information on this site has been provided by IRESCUE TRAINING as a public service. The content provided is not intended to be a substitute for a physician's advice, diagnosis or treatment. You should consult your physician for specific information on personal health matters. IRESCUE TRAINING makes no warranties, express or implied as to the fitness of the information for any purpose, or to results obtained by individuals using the information and is not responsible for any action taken in reliance on the information contained herein. Please keep in mind that our legal and privacy statement applies only to www.irescuetraining.com. Our site contains links to other sites for the convenience of visitors to the site. We are not responsible for the privacy practices on the currency or accuracy of information of any other web site. Be sure to review all other sites' privacy policies before you proceed, and make sure you understand and agree with their policies concerning privacy. A link to any such site does not imply our endorsement of the materials available on these sites, nor does it assume any liability for any of the information on these sites. Visitors to external sites linked from IRESCUE TRAINING's site are advised to contact the operators of those sites with any questions about accuracy, copyright compliance, legality, or privacy. IRESCUE TRAINING does not warrant or make any representations as to the quality, content, accuracy or completeness of information, text, graphics, links and other items contained on its web pages.